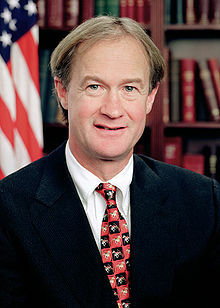 Rhode Island Governor Lincoln D. Chafee (Indep.) recently explained his denial of a request to transfer Jason Pleau to the federal government for a potential death penalty prosecution. Chafee stated, " As a matter of public policy, Rhode Islanders have long opposed the death penalty, even for the most heinous crimes. To voluntarily let Mr. Pleau be exposed to the federal death penalty for a crime committed in Rhode Island would be an abdication of one of my core responsibilities as governor: defending and upholding the legitimate public-policy choices made by the people of this state." In his op-ed in the Providence Journal, the governor noted that Pleau had offered to plead guilty to murder in state court and accept a sentence of life without parole. Chafee rejected the accusation that his actions were driven by a personal opposition to capital punishment. The governor noted that Rhode Island abolished the death penalty in 1852, although a very narrow death penalty statute was put in place afterwards. That law was finally removed in 1984, and no executions occurred in Rhode Island after 1852. Read full op-ed below. Over the past several months, there have been a number of erroneous claims put forward regarding the case of accused murderer Jason Wayne Pleau and my involvement, as governor of Rhode Island, in it. I am writing here to correct misconceptions and set the record straight. In his Aug. 17 Commentary piece (“Shielding criminal betrays public trust”), state Sen. Edward J. O’Neill expresses what is perhaps the most common of these misconceptions: that my disapproval of a federal request to transfer Mr. Pleau for the purpose of exposing him to the death penalty is motivated by my personal opposition to capital punishment. That is simply not the case, and Senator O’Neill is wrong in his assertion. Instead, my actions are motivated by my obligation as governor to safeguard Rhode Island’s sovereignty and the integrity of its laws. Mr. Pleau has already offered to plead guilty to state murder and robbery charges and to accept the state’s harshest possible punishment — life in prison without parole. As a matter of public policy, Rhode Islanders have long opposed the death penalty, even for the most heinous crimes. To voluntarily let Mr. Pleau be exposed to the federal death penalty for a crime committed in Rhode Island would be an abdication of one of my core responsibilities as governor: defending and upholding the legitimate public-policy choices made by the people of this state. Senator O’Neill uses the costs of incarcerating Mr. Pleau and his long, violent criminal history to justify abandoning Rhode Island’s longstanding opposition to the death penalty in this case. On the first point: Senator O’Neill is seemingly unaware that the costs of trying a federal death-penalty case, in addition to the lengthy appeals process that will inevitably follow the trial, are enormous. The reality of this unfortunate situation is that costs to the taxpayer will be considerable whether Mr. Pleau is tried and incarcerated in Rhode Island or tried and executed by the federal government. Clearly, this is no justification for disregarding a firmly held belief of the people of our state. On the second — and more fundamental — point: There is no doubt that Mr. Pleau is a career criminal with an extensive record of deplorable acts. But this does not justify the abandonment of Rhode Island’s longstanding abolition of capital punishment. In 1852, the General Assembly heeded their advice and Rhode Island became only the second state in the nation — following Michigan, in 1846 — to abolish the death penalty. In 1872, an extraordinarily narrow capital-punishment exception was enacted but never invoked, eventually prompting the Rhode Island Supreme Court to rule, in 1979, that the death penalty was an unconstitutional violation of prohibitions on cruel and unusual punishment. Following the ruling, in 1984, the General Assembly removed mandatory death penalty requirements from Rhode Island General Law, and each subsequent effort to authorize it for specific crimes has failed. The State of Rhode Island has not executed a prisoner since the original 1852 ban. There is no question that the murder of David Main was a senseless act that shocked, saddened and angered the people of the state, including me. I cannot begin to imagine the grief of the Main family, and I extend my deepest sympathy to them for their tragic loss. There is also no question that Jason Wayne Pleau is a career criminal who deserves to answer for his crimes and spend the rest of his life in prison. But my involvement in this case is not about Mr. Pleau. It is not about the terrible ordeal of the Main family. And it is not about my personal feelings or opinions. It is about maintaining and protecting the sovereignty and laws of the state I was elected to govern. Leadership requires defending and upholding the public policy of the State of Rhode Island in all cases, not just those where it is easy or convenient. Indeed, it is situations such as this, which are difficult and fraught with emotion, where we must stand up for our state’s core principles. They lose meaning if we are unwilling to do so. Lincoln D. Chafee, an independent, is governor of Rhode Island. (L. Chafee, "My Pleau stand affirms core R.I. values," Providence Journal, August 24, 2011). See New Voices and Federal Death Penalty.